Want to get a makeover, consultation or just want to have a chit chat? Please come and visit me! 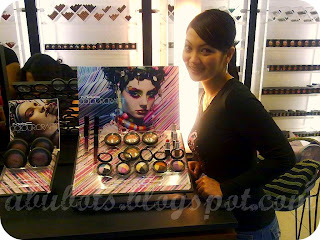 I'll be the guest makeup artist for MAC Glorietta this coming Monday. how about free items? hahaha! just kidding! That's an awesome job you got there! xD MAC! aw i wish I could drop by! would love to pick at your brain for tips and tricks if i dont turn into a total coward and be all shy haha. im also selling exactly that concealer palette jheng! i also have some makeup brushes on ebay =) you might want to check it out.